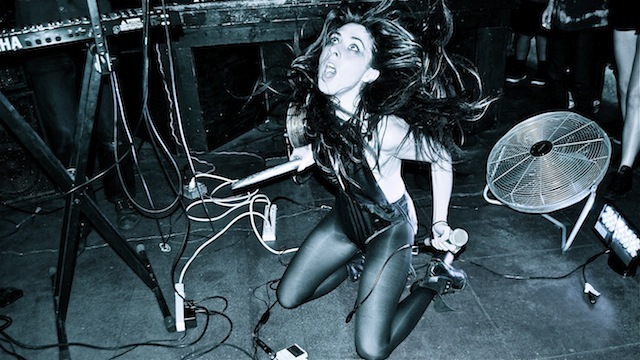 Tearist, the Los Angeles duo of Yasmine Kittles and William Strangeland, are well known by now for their intense and confrontational live shows. Last night they unveiled a live session for their track ‘Unarmed’, produced for Terroreyes.tv (a video platform we’re well-familiar with thanks to their coverage of favorites like Chelsea Wolfe and Marnie Stern.) It’s a wonderful cacophony of synths, industrial factory noises, and Yasmine’s beautiful wails. Stream it below.